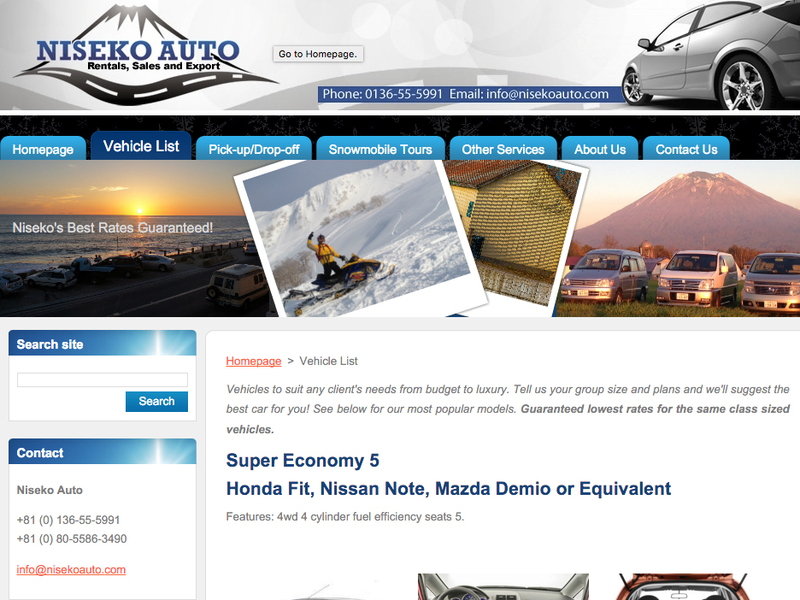 Niseko Auto can rent you a vehicle for your very own road trip. We specialise in larger 7 and 8 seater vans. Native English service and guaranteed best prices. Niseko Auto is Hokkaido’s original English speaking rental agent. We offer everything from budget to luxury rental vehicles. All rentals include 24hr roadside assistance IN ENGLISH, English GPS, liability insurance and taxes. Start Exploring Hokkaido today!